If you've ever watched the Daytona 500 or any race at the iconic Daytona International Speedway, you can appreciate the turns. 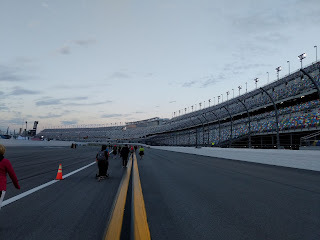 Although I've been on the track before at two prior Daytona 500 events, I've never been "up close and personal" with the turns. 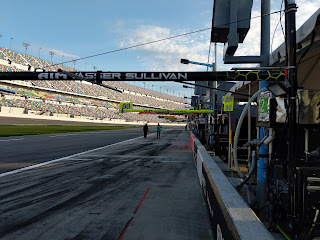 What an experience to be there first-hand! 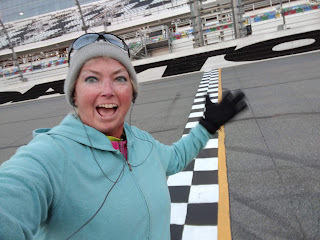 It was a chilly tram ride back to the parking lot -- by the way, if you haven't done that, make sure to hold on to your hat -- literally -- as the wind, especially through the tunnel, will lift that hat from your head, never to be seen again! 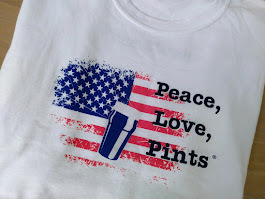 (actually happened to me a few years ago). 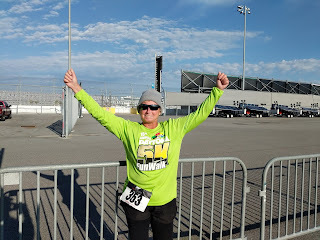 That top photo was the only time the vest and hoodie came off, just long enough for a photo in the event race shirt. 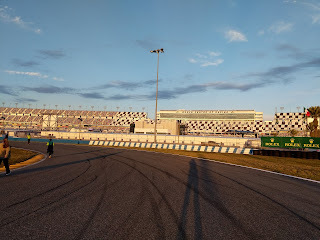 It was one cool experience! 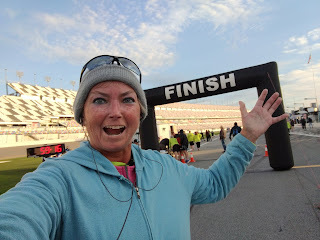 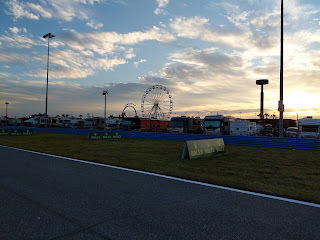 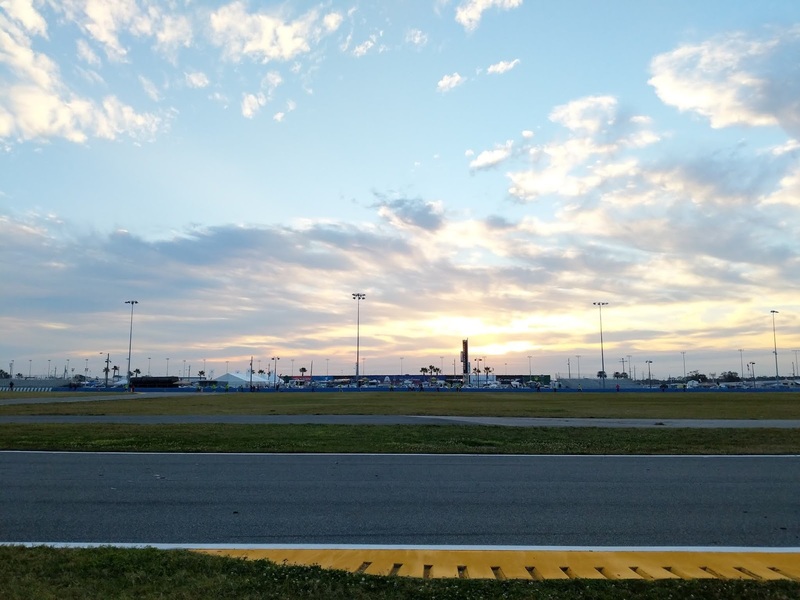 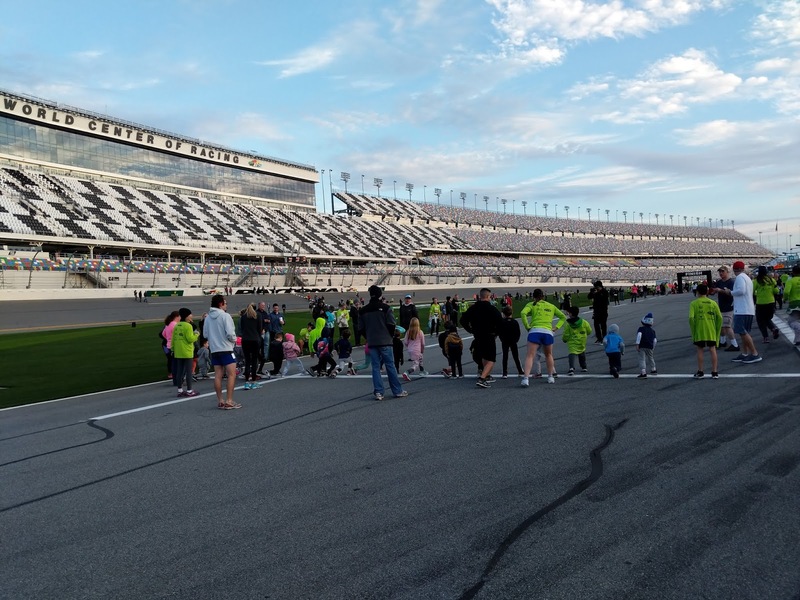 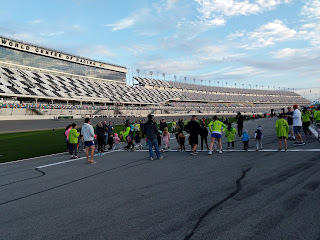 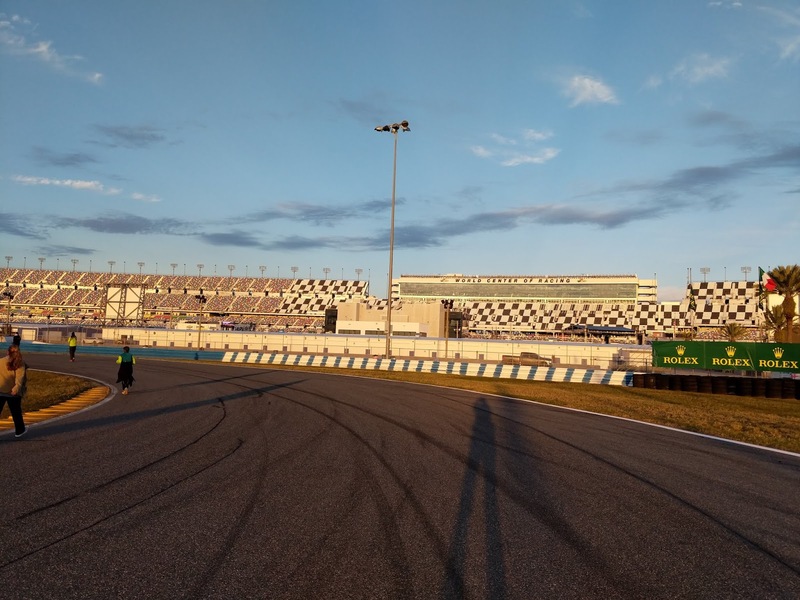 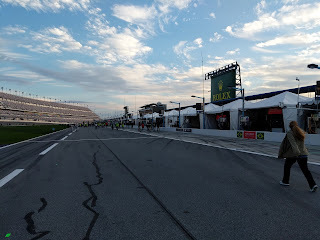 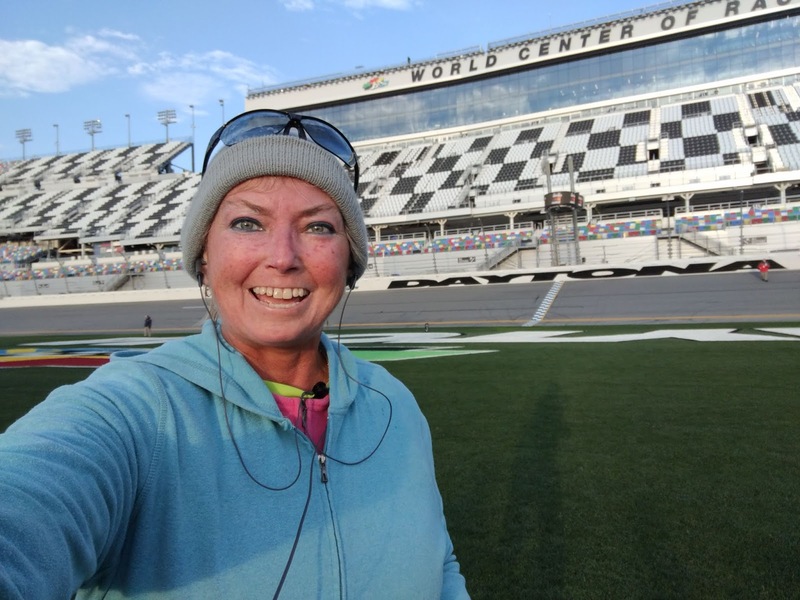 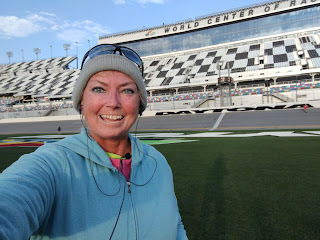 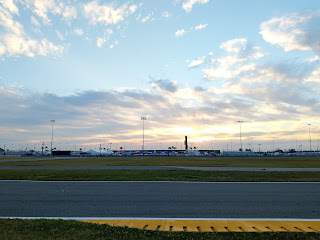 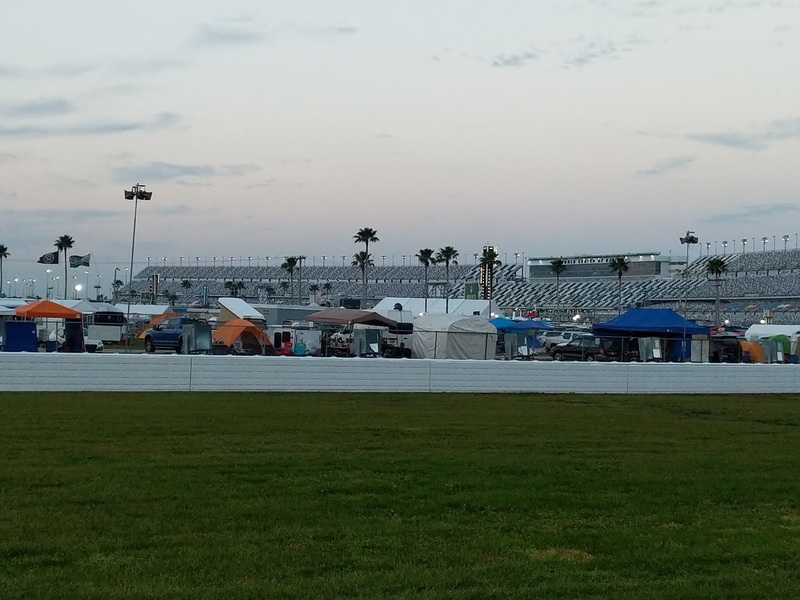 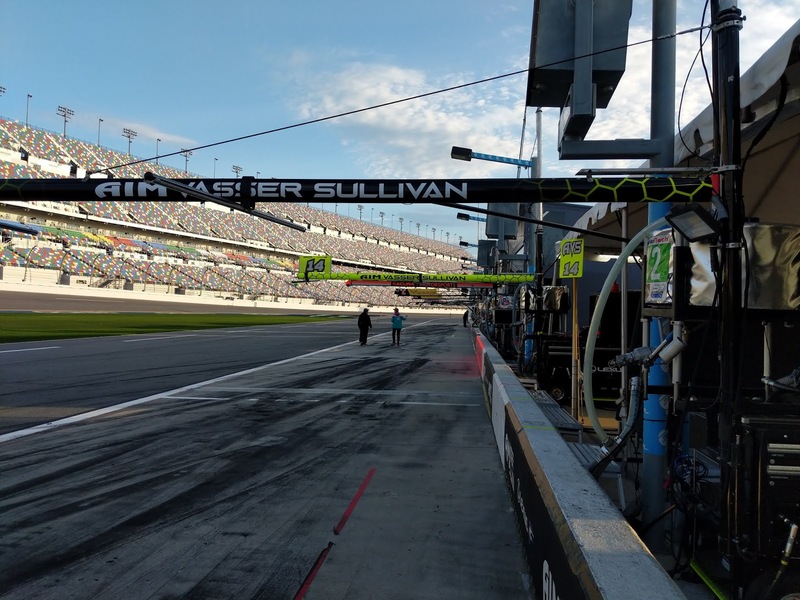 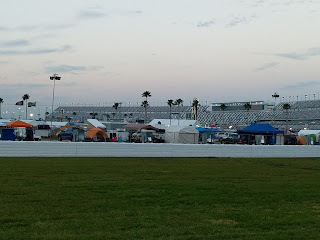 The Speedway hosts the Daytona Beach Half Marathon Weekend, featuring two more runs at the track on February 10, before the Daytona 500 Qualifying. 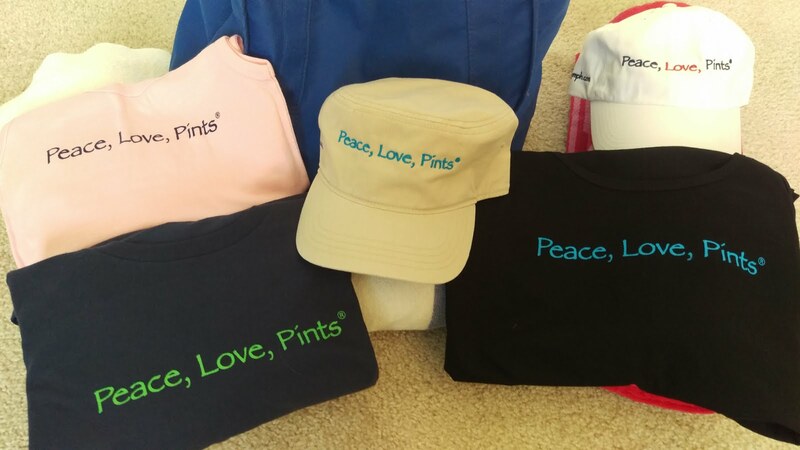 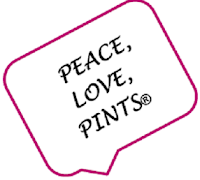 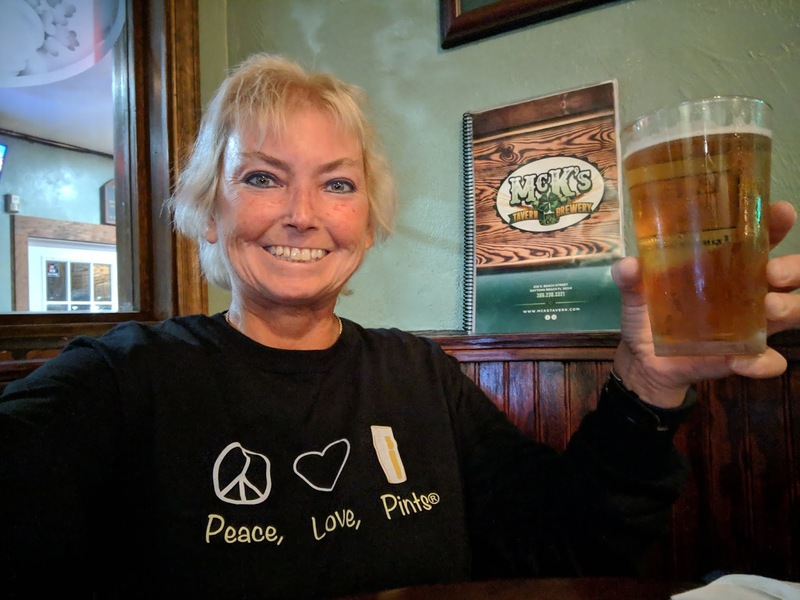 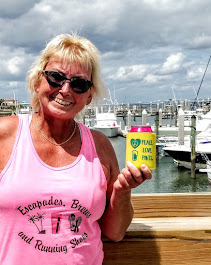 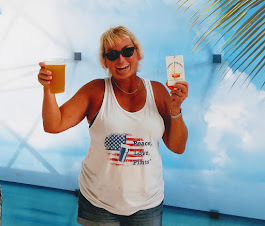 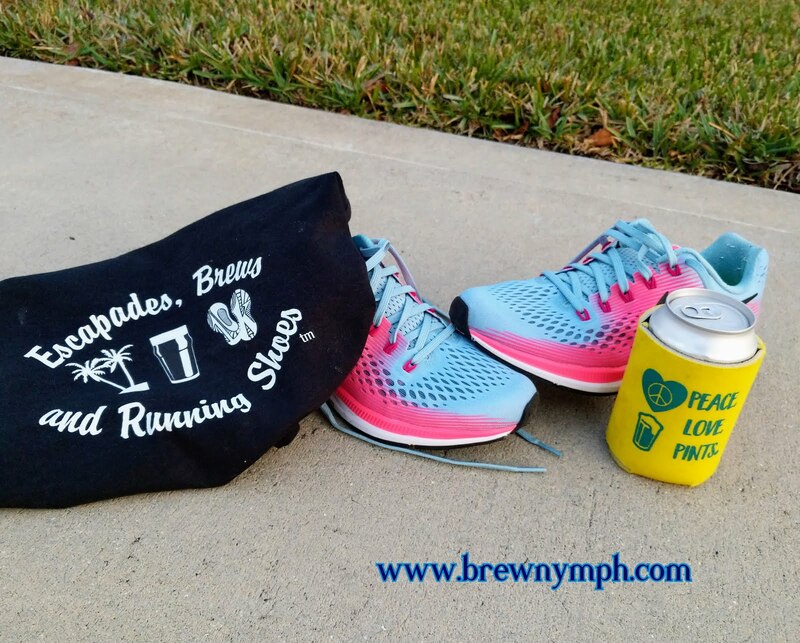 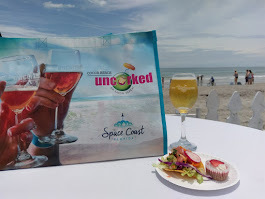 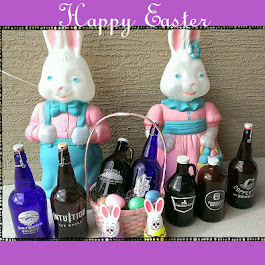 Escapades, Brews and Running Shoes™! 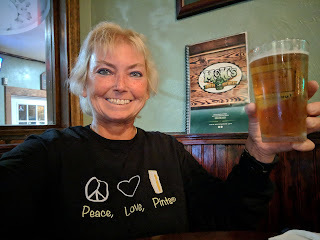 I only had one, but there were many to choose.